CEAS Program now available statewide in Massachusetts and Rhode Island. 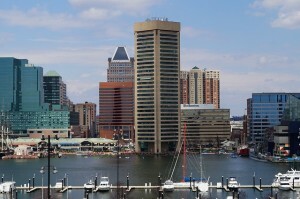 The Baltimore City Mayor’s Office of Emergency Management (MOEM) maintains the highest level of preparedness to protect Baltimore’s citizens, workers, visitors, and environment from the impact of natural and man-made disasters. The MOEM partnered with BNET in 2009 to help Baltimore-based businesses of all types and sizes to be as prepared as possible for the next emergency. Corporate Emergency Access System (CEAS) is a turnkey pre-event credentialing program, provided at no cost to governments, that allows critical business employees to travel through or gain access to restricted areas following a disaster or serious emergency. 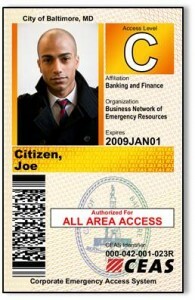 Credentialing is done through the use of a common identification card recognized by law enforcement and emergency management officials. CEAS provides businesses with a means to maintain critical business processes; stabilize and sustain core IT systems; secure and protect facilities, rescue valuable assets left behind in an emergency; retrieve vital records, hardware and equipment; conduct damage assessments, and much more. If you haven’t planned for what you will do if you cannot access your facility, the CEAS program is now available to all of your facilities within the City of Baltimore. CEAS is available by annual subscription to organizations that reside in or service businesses in the City of Baltimore. Enrollment is simple, affordable and will bring true peace of mind to you and your organization. Click the button below to begin. Business Network of Emergency Resources, Inc.
2018 © Business Network of Emergency Resources, Inc. All Rights Reserved.